(1)(Green): Regenerate target creature with a +1/+1 counter on it. Well that's allot of valuable information, thank you! 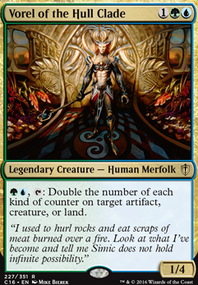 Cephalid Constable is incredibly gross, what a card! Why does it not include 'non-land'? Divine Reckoning is actually in another deck that i use, but it never passed my mind here. Maybe i'll give it a try. Herald of Secret Streams is definitely great, seen and debated about the card so many times before. 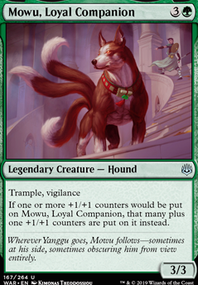 But perhaps I should first consider Champion of Lambholt to make a return to the deck. And Karador, Ghost Chieftain just as Muldratha passed my deck as viable options after Skullbriar got included. I guess he should be good. He definitely combo's nicely off Greater good or survival of the fittest. And Black, I actually hate black sources, but somehow the color still always comes splashed on top of commanders that I like. I guess they do make the most flavorful commanders. Attrition is good, but i'm afraid I'll end up having no non-black target i wish to destroy. Viscera Seer like Carrion Feeder are great sac outlet..... But i'm not sure if i should fit a slot for him. decisions, decisions..
ZendikariWol on Reyhan&Ishai | Where Unstoppable Meets Immovable! All right. In that case Imma throw out some suggestions. First of all and probably strangest: Cephalid Constable. If you can get some counters on this boi, preferably make it evasive? Suddenly you're mega-time-walking every opponent. Maybe try Helm of the Host or Blade of Selves with him but pro'lly not. Divine Reckoning is insane, especially here. I would say much better than Deathbringer Regent. 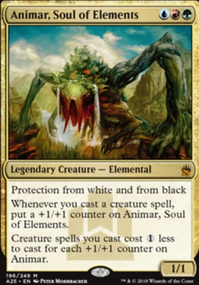 Yes, it leaves everyone else a creature too, but for 4 less mana I'd say it's an improvement (since you could cast more than just that on the same turn). You don't have Herald of Secret Streams!? He's one of the only good reasons to run blue! Bred for the Hunt is equally awesome; my other reason to run blue. Plaxcaster Frogling and Sporeback Troll are protection for your countered creatures, and also have some counters themselves. Consider that you don't need black for like... anything. You have a total of like 12 black spells. No removal? No Viscera Seer? Attrition? There are good sac outlets you're missing. This is gonna go against one of my points farther down but like. Yeah. This one isn't an actual comment of value, but I wanted to commend your idea for copying Reyhan. I had never considered it and it is really fresh and intriguing. Love the flavor, love the application. Couldn't help but notice Karador, Ghost Chieftain in the maybeboard. 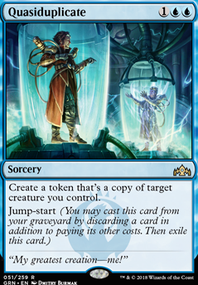 He might be pretty good too, if you wanted to move this and sorta kinda separate the aristocrats and the counters. I would love to see an aristocrat counter deck that leans more into the aristocrat side. Skullbriar, the Walking Grave would be a monster! 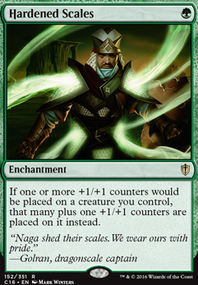 Your mana curve is super high, effectively starting at 3 and going down fairly slowly. I searched long and hard for the 1-drops I have, and I am glad to share them with you. Just peep in on my decks (tappedout makes that easy to find) and steal some. You have a lot of aristocrat themes and a lot of counter themes, but the problem is you don't have much intersect between the two. As a result this deck feels almost like two separate decks, and I don't know if that's hindered you before in practice, but in theory it seems really bad. I have really enjoyed seeing you play your deck on MTGMuddstah. Have you considered Comet Storm, Canopy Surge, and Molten Disaster? It seems that Hallar is really good at nuking all opponents, so effects like these three can hit all of your opponents while also triggering Hallar, plus they can usually survive the Disaster, too. Goblin Ruinblaster, Joraga Warcaller, Overload, and Verduran Emissary are all strong kicker cards that seem worth testing as well. 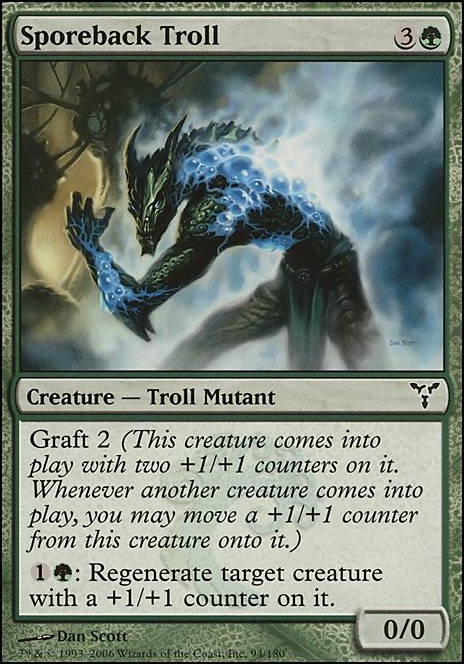 I love the strategy of focusing on +1/+1 counters and just using the good kicker spells, but maybe you could swap out some of the more situational cards, like Unstable Footing and Sporeback Troll? Great deck, love the strat. Looks awesome! If you like +1/+1 counter interaction, Shinewend and Stingmoggie aren't too bad either. Stingmoggie is admittedly less optimal than Aura Shards, but being able to pay 5 with Marath out to kill any land, especially if you have access to a lot of mana and a lot of +1 counters, isn't bad. Enduring Scalelord, Fertilid to essentially pay 2 with Marath out to search for any basic over and over, Sigil Captain, and Metallic Mimic also rockkkkk with Marath. Sporeback Troll will let you save most of your creatures. Vigor is also insane in a +1 themed Marath deck. I suggest Servant of the Scale, Vastwood Hydra and Sporeback Troll. You might also consider Winding Constrictor. I made GW focused on +1/+1 counters, I use these cards there. As LithiumHD said, Hardened Scales is a must, have 2 of them at least.